Step 1: Take out your front lawn and put in critter friendly flowers. Step 2: Plant a tree next to the yard so there is a place for a nest. Step 3: Wait a couple of years. 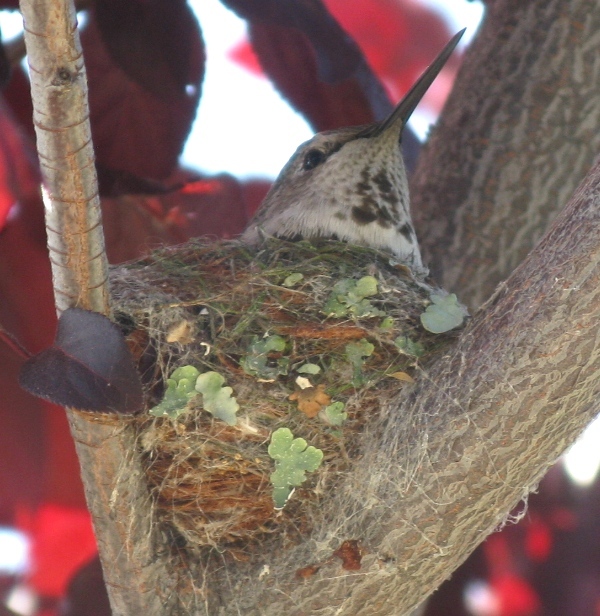 Step 4: Take picture of mama hummingbird dutifully sitting on her eggs in the beautiful nest. Note that this photo was taken with the camera lens about 12 inches from the nest. This mama was not deterred by the obnoxious photographer venturing near her and her eggs.